Our simple, effective teeth whitening treatments are the ideal way to ensure you smile your way through the festive season. And, with all those unwanted gifts you have to pretend to like, visits from relatives you haven’t seen for years and parties you want to look your best for, you’ll want to keep those smiles flowing freely. How do we help you lighten up and enjoy the yuletide fun? We take impressions of your teeth to make sure the custom-made mouth trays will be the perfect, cosy fit and the special gel has adequate contact with your teeth. These trays are then worn at home every night for 14 days to get your teeth ready for a final session in the surgery. 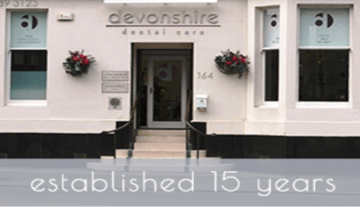 During a 40 minute session in the dentist’s chair, we use a stronger gel and speed up the process with a whitening lamp, resulting in dazzling teeth that can be up to 14-16 shades lighter! Results with Enlighten are long-lasting, but not permanent. However, if you do fancy a whitening boost you simply need to purchase more gel and use with your tailor-made trays. And if you want to give a gloriously glamorous gift this Christmas, why not treat that special someone to a whiter, more youthful looking smile. We’re currently offering a super seasonal £100 off teeth whitening so you can afford to be extra generous. Just give us a ring, pay £231 over the phone, and we’ll post your gift voucher in time for Christmas. Although this smile enhancing treatment is suitable for most people, it will not work on dental restorations such as white fillings, veneers and crowns. Also, results will depend on the extent of the discolouration teeth at the start of the process so it might be worth checking with the intended recipient beforehand. So, if you want to give Santa a run for his money and treat your loved ones to a new, improved smile, or you just fancy flashing a whiter grin yourself, give us a call on 0141 339 3123.